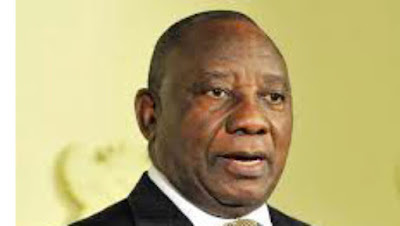 South African President Cyril Ramaphosa, who is attending a two-day African Union summit currently underway in Addis Ababa, will chair the body in 2020, the presidency said on Monday.According to the high office, the AU summit, which opened on Sunday in the Ethiopian capital, is being attended by various African leaders who are expected to focus on issues of refugees and other displaced populations in Africa. Particular emphasis at the gathering is being placed on the more than 20 million Africans on the continent forced to flee their homes due to conflicts, the presidency said. Ramaphosa will succeed Egypt’s President Abdel Fattah el-Sisi, who has taken over this year’s AU leadership from Rwandan President Paul Kagame, with a pledge to continue with institutional, structural and financial reforms that Kagame initiated. While handing over, Kagame announced that the continental body was closer to financial independence with US$85 million in the AU’S Peace Fund – a contribution made by 49 member states. El-Sisi assumes the AU leadership six years after the continental body suspended Egypt following a military coup. Outlining the objectives for his tenure as mainly peace, security and reconstruction of countries torn apart by conflicts, the Egyptian leader urged African leaders to consider having a fund to reconstruct countries battered by conflicts as one way of encouraging refugees to return home.